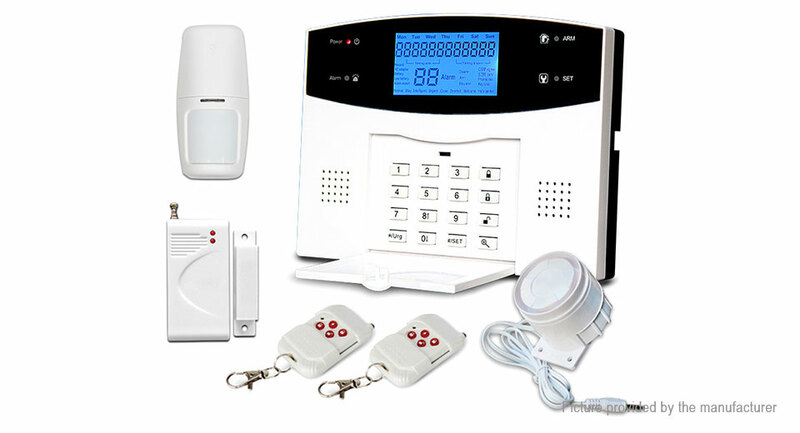 Dual network PSTN/GSM home alarm system. Built-in clock and color TFT LCD screen, high-sensitive touch panel keypad. 10 seconds voice message recording. 4 groups of timely arm and disarm. Set 6 alarm phone numbers. and 3 Alarm SMS numbers. Support wireless siren( default frequency 315Mhz). Also support the wired siren. Unique function of low voltage alert by sending notifying message.